"We don’t want to be just another metal band that creates videos playing on stage with some fire, banging our heads." At first glance it’s difficult to know quite what to make of the band AVATAR. 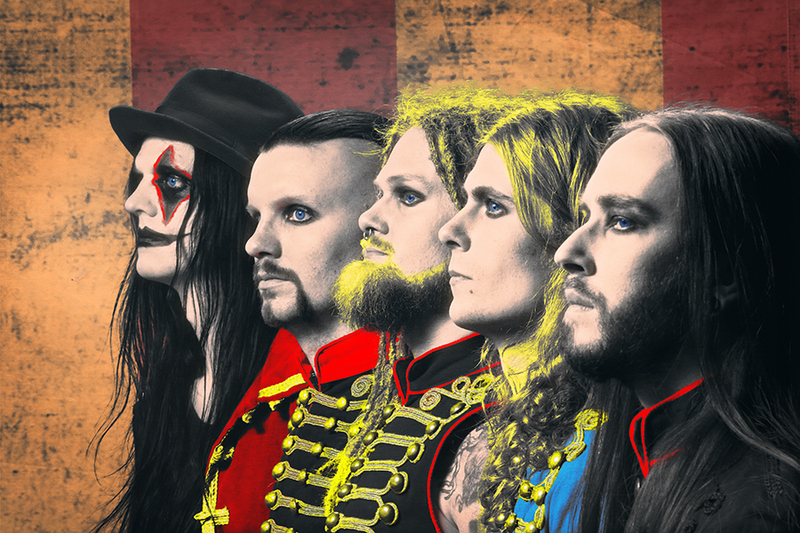 The face paint worn by AVATAR lead singer Johannes Eckerström, along with his outfits and stage props, give him a very morbid, vaudeville-esque persona. Their sound ranges from grinding, fast-paced riffs, to slow and sinister melodies. All the while the band’s music is perfectly matched by Eckerström offering up screaming vocals or soft singing, whichever is called for. Along with some great songs, this band puts on a powerful LIVE show and has become quite well known for their short-film music videos. AVATAR very much believes that their art is an entire experience. The music is but one part of it. They put a lot of thought into every part of that which is AVATAR. Much can be learned from this way of thinking, which makes the band’s name all that more suitable. AVATAR: an incarnate, divine teacher. 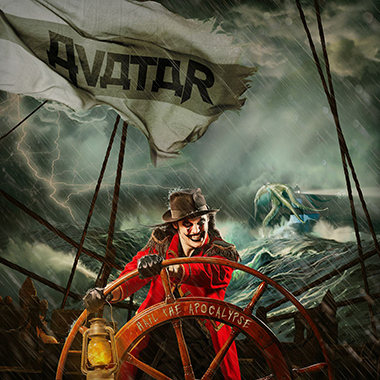 AVATAR has just had another successful album release in the U.S. with Hail The Apocalypse and just finished touring the States in support of the album, a tour that included several large festivals. I had some time to chat with Johannes Eckerström. Here’s what he shared with me regarding the latest goings on with AVATAR. KNAC.COM: What got you started in music and who are you biggest influences? ECKERSTROM: It was kind of a mixed bag. We’re from a tiny town south of Gothenburg, Sweden and it was just about finding those other longhaired kids like us. The first common ground we found was Technical Death Metal, which is really brutal stuff. Melodic Death Metal, the more commonly known Swedish style, was also a big influence. We were originally a Technical, Melodic Death Metal band, or at least we strived to be, but it took us a while to really develop our craft. For years now, we’ve incorporated way more groove into our style and get ideas from all over the spectrum. KNAC.COM: You’ve already had tremendous success throughout Europe. While the metal scene has remained very strong in Europe, Central and South America, and Japan, it’s had its up-and-downs here in the U.S. It seems to be making a real comeback, though. With that in mind, how have you found the reception from U.S. audiences? ECKERSTROM: The reception has been mind-blowing for us. It’s interesting that you mention it. We’ve been around for quite some time in Europe, building the band slowly, really improving through the years, but also really paying our dues. We never had the chance with our first three albums to release anything in the U.S. Our fourth record, Black Waltz, has given us an entrance into this market and, as you said, it’s grown so much faster here. There are several reasons for this. We’re definitely working with the right people in the U.S. market, those who’ll really push AVATAR here. That aside, we nailed something with Black Waltz, which took us to a totally different level as songwriters and musicians. Success has come really fast in the U.S., the reception has been great, and we’ve found an audience of like-minded souls in this country much more quickly than I could have ever hopedP> KNAC.COM: With five albums since 2006 and two EP releases dating back to 2004 as well as being on tour much of the time, what keeps you creatively inspired? ECKERSTROM: We make sure we have time off to write. AVATAR is not a band that writes while we’re on the road. We’ll just go away to some cabin in the woods somewhere and jam. We need that type of seclusion to focus. It’s fun to tour, but it doesn’t offer us the artistically inspiring environment that we’re looking for. Writing is something we do when we’re at home, most of the time. Of course, band members may pick up a guitar here and there while on the road to put down an idea or two. But the real, focused songwriting and the creation of another album, that happens when AVATAR isn’t on the road. We know it takes us a while to write and be creative, so we plan accordingly and make the time for it. KNAC.COM: The videos you’re producing to support your albums are true masterpieces. With the MTV music video era mostly behind us and YouTube being the go to source for many people looking for cutting edge material, are online feature-film-type music videos what’s next in getting music in front of your fans? ECKERSTROM: It all starts with intuition and the concept continues to evolve. AVATAR is a piece of art as a whole. It’s not just the songs. Everything is connected and must communicate the same message. We need to look like our album covers, the way our songs sound, and that’s the way we perform, as well. From there, we develop the short movies that go along with AVATAR’s material. I can only speak from the perspective of how AVATAR is doing things and wants to do things. But right now, there seems to be a lack of creativity in the music video world. There’s also a lack of people willing to invest into it, mostly because the record industry is making much less money these days. No one has Michael Jackson budgets anymore. That hasn’t stopped us from being as creative as possible with our ideas. AVATAR puts together very much DIY music videos. We’ve got a small team and everyone plays a huge role in perfecting the work, from concept, to building the sets. The short-film music videos are our pet projects. Producing them comes from the heart. They’re important because we want to treat AVATAR, the band, as art, all of it. The videos are an integral part of that. We don’t want to be just another metal band that creates videos playing on stage with some fire, banging our heads. AVATAR sees music video as a medium where so much can be told to strengthen the story of the song. If they become the go to way for fans to get to the music or end up going viral, it would certainly make things a lot easier for us. Regardless, they are important to AVATAR and something we really want to do. ECKERSTROM: With each album we always reach another level of honesty in our writing and how we do things. The best decision we ever made was when we decided not to worry about what other people think about what we’re doing, to just do what we do best and what we want to do with AVATAR’s music. With every layer that you peel away, you find a new level of honesty and, with Hail The Apocalypse, it’s gone one step further. It’s definitely the darkest album we’ve done lyrically. It’s also the first time we’ve recorded an album LIVE (in studio), which gives it a whole different energy than what we’ve been able to do in the past where we’ve done more conventional tracking. When you do it LIVE there’s the human factor that gives it that extra edge. 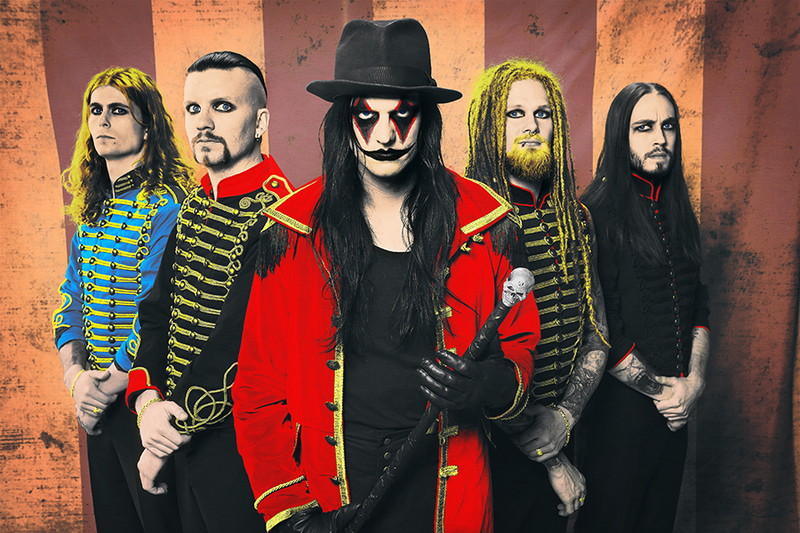 KNAC.COM: Are there certain tracks, particularly with the new album, that are must plays on AVATAR’s set list, either fan favorites or band favorites, perhaps both? ECKERSTROM: In the States we’ve picked a few tracks to get AVATAR’s name out there. From Black Waltz, those are “Smells Like A Freak Show” and “Let It Burn”. From the new release, Hail The Apocalypse, the big tracks are the title track and “Bloody Angel”. We try to vary our set-lists playing songs from AVATAR’s entire catalog, but I really like to finish out every show with “Queen Of Blades” from our 2009 release, Avatar. KNAC.COM: What, if anything, do you most want your fans to know about you or AVATAR? ECKERSTROM: I always encourage people to come see us LIVE. I know that once they do they’ll see our passion and we’ll gain fans, those who become believers in what AVATAR is doing. For individuals who don’t have the opportunity to see us LIVE, our short-film videos really demonstrate who we are what this band is about, both musically and visually. I urge people to check them out. They truly capture much of the AVATAR experience.